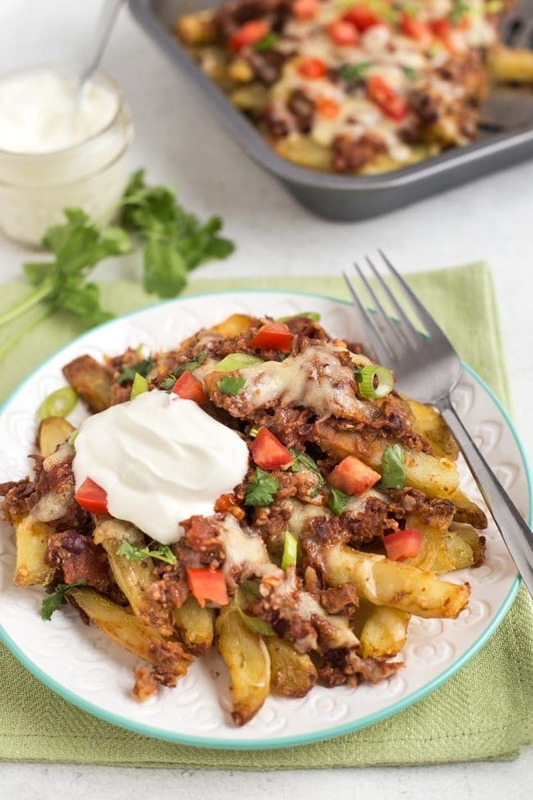 An irresistible dinner - crispy French fries topped with a simple homemade veggie chilli and plenty of cheese! 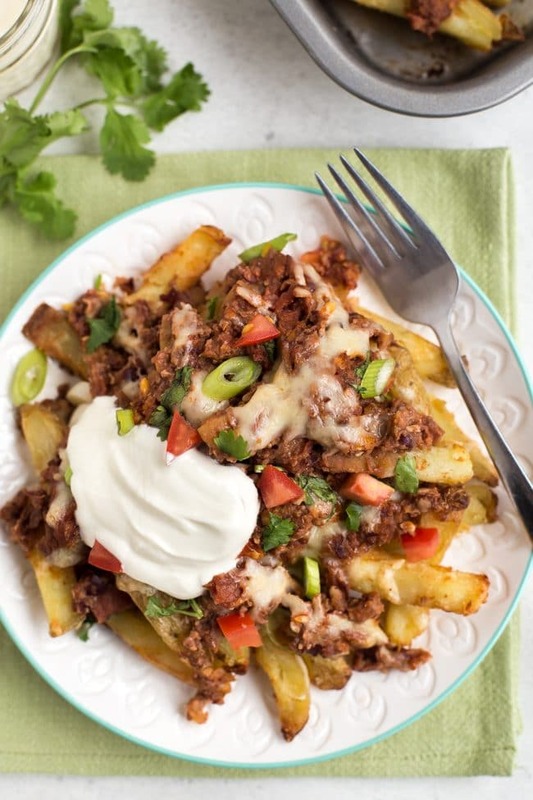 Crispy French fries topped with a simple homemade vegetarian chilli and plenty of gooey cheese – an irresistible dinner! I don’t know who invented chilli cheese fries, but I hope they’ve been knighted. Crispy chips (that’s French fries, to some of you) topped with vegetarian chilli and plenty of melty cheese… they’re pretty amazing. They’re not something you ever used to find in the UK, but these days you can sometimes get them at American-style diners. We’ve adopted quite a lot of American culture in the past few decades – and if that means we can eat chilli cheese fries for dinner, I’m all for it. Chilli cheese fries are usually made with a meaty chilli, but since I can’t stand back and watch us vegetarians going without, I thought I’d make my own veggie version. At first glance, they seem like a bit of an indulgent dinner. After all, cheesy chips were always my favourite thing to get from the take away at 2 in the morning, a bit worse for wear after a big night out. Hardly the sort of thing a respectable adult with a husband, a house and a child should be serving up for tea. But when you take those drunken cheesy chips and add a tasty homemade vegetarian chilli, it somehow makes them feel a bit more proper. We happily eat chilli with rice for dinner, so why not chilli with potatoes? It’s perfectly acceptable. First up, the chilli! Since this is a chilli designed to be poured over a big plate of chips, it’s a bit smoother and thinner than my usual chillis, which I would make to eat on their own – this one is perfect for ladling! The bulk of the chilli is made in a food processor – just blitz up some walnuts, beans, and veggies to give a mince-like texture. 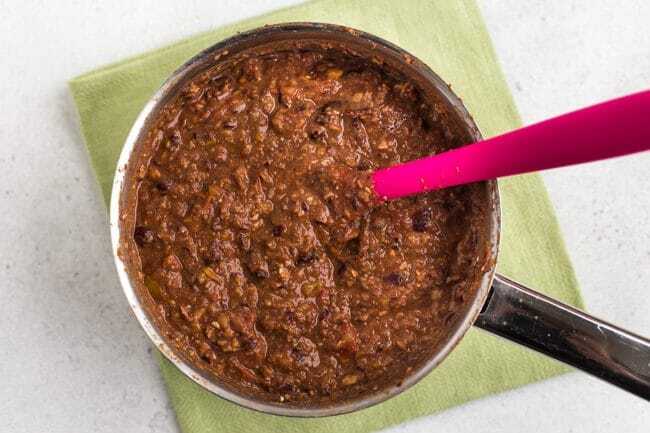 The walnuts and beans give an awesome texture – it’s a combination I’ve used loads of times before (taco meat, vegetarian pâté, bean burgers…), and it never fails. This time I also added some mushrooms and a yellow pepper. Just blitz it all up roughly – it doesn’t matter if there are a few bigger pieces remaining, and in fact you don’t want it to be too smooth. Then, just simmer it in a pan with a tin of tomatoes and some spices, until it’s thick and rich. Yum. It’s such a low effort way of making chilli. The recipe makes a good sized batch of chilli – enough for about 6 portions of chilli cheese fries (I made a smaller version for the photos!). If you don’t need to feed a crowd, just save the leftover chilli for another day – see below for a few ideas for how to use it up! 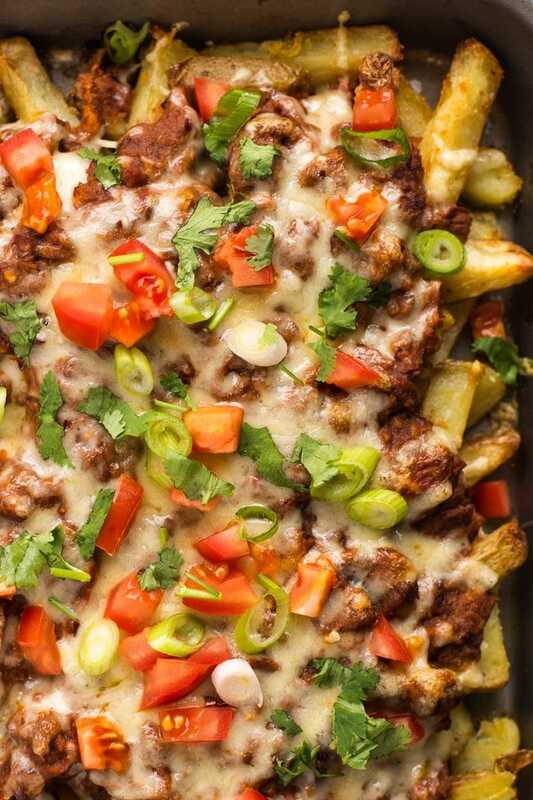 You can use any kind of chips for these vegetarian chilli cheese fries. 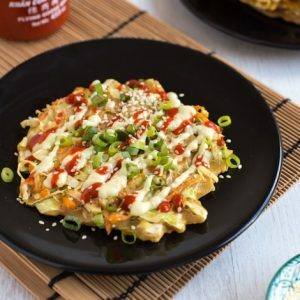 Thin French fries and chunky chips would both work well – I split the difference and made my chips somewhere in between the two. I suppose thin fries are more authentically American, but who’s judging? You could even use potato wedges if you fancy. Or, if the homemade chilli has taken all your energy, you can just use a bag of frozen chips. By the time you’ve loaded them up with that lovely chilli and plenty of cheese, you’re barely going to notice anyway. 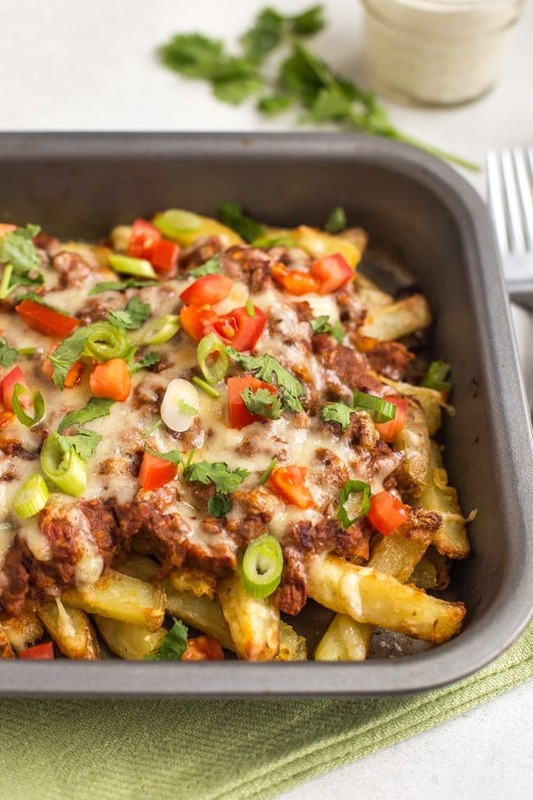 Chilli cheese fries are sometimes topped with a cheesy sauce, rather than melted cheese. 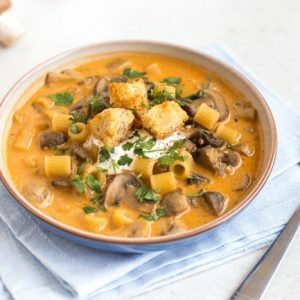 I personally think that ooey, gooey melted cheese is just as enjoyable, and far less effort, so I just grated some cheddar on top – but you can definitely use cheese sauce instead if you prefer! If you do want to make your own sauce, I would highly recommend using this nacho cheese sauce – it’s utterly perfect for this kind of thing. Plus it uses those slices of American cheese, so it’s probably about as authentic as you’re going to get. Add the cheese on top, and pop the tray in the oven to get all gooey. Finally, the toppings. 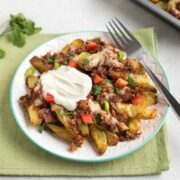 A few fresh ingredients scattered on top really lift these chilli cheese fries to the next level – plus they help to make them feel like more of an acceptable dinner. Tex-Mex food isn’t complete without some fresh toppings! 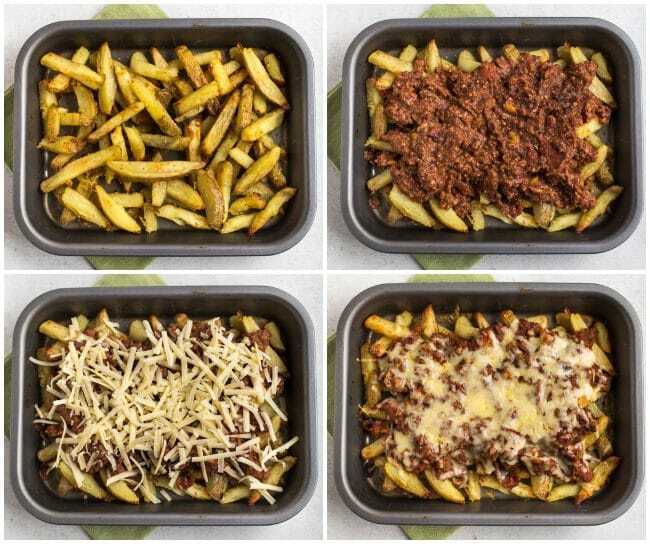 How do you serve chilli cheese fries? 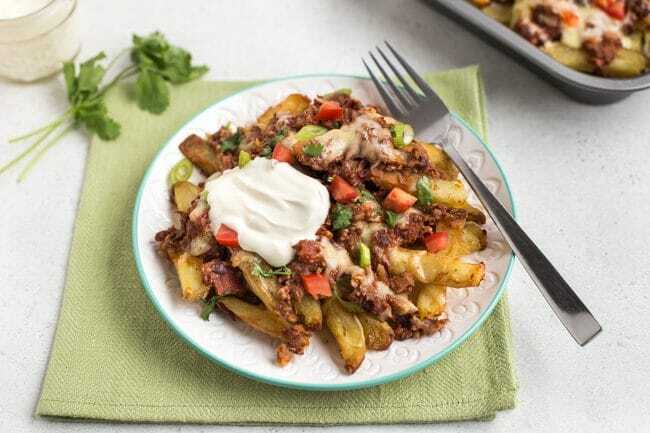 These vegetarian chilli cheese fries can serve as a meal in their own right – you don’t really need to serve them alongside anything else. 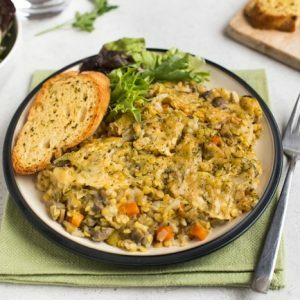 There’s protein from the walnuts and beans, carbs from the potatoes, and a few different veggies – perfectly balanced, right? If you’re feeling informal, I’d just stick the tray right in the middle of the table, hand out a couple of forks, and dig in. Or if you want to be a bit less messy about it, you should be able to scoop them out onto plates without too much effort! 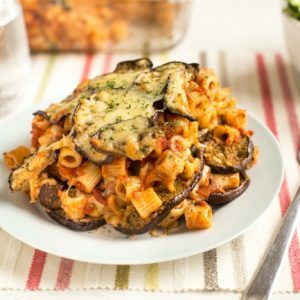 How can I use up the leftover chilli? As I mentioned before, this recipe makes a decent sized batch of vegetarian chilli. 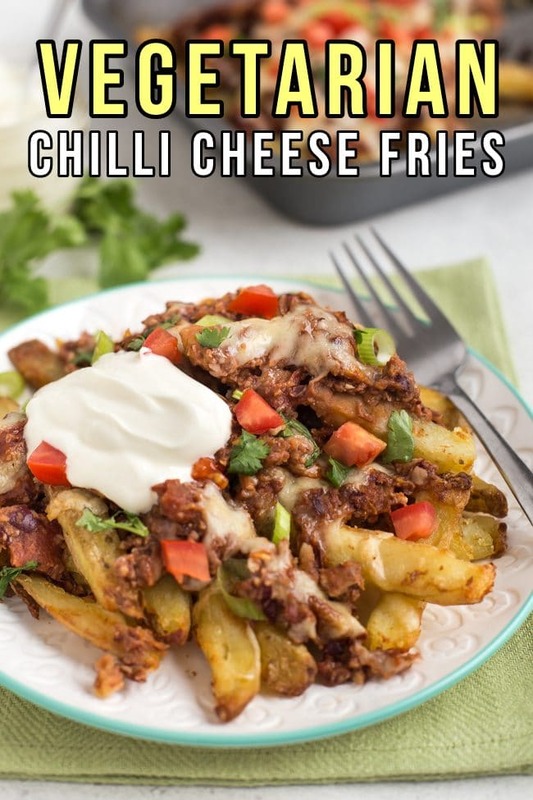 If you were going to eat it on its own, it would probably only serve 2 people, but you don’t need a huge amount of chilli to make chilli cheese fries. So you can either make enough fries to feed a crowd, or just have a bit of chilli left over. Your choice of toppings, e.g. diced tomatoes, fresh coriander (cilantro), chopped spring onions, diced avocado, sour cream, etc. Wash the potatoes, and cut into chips. Toss in a little oil, and lay them out in a single layer on a couple of baking trays. Season generously. Bake at 190°C (Gas Mark 5 / 375°F) for about 30 minutes, or until they're golden brown and crispy. 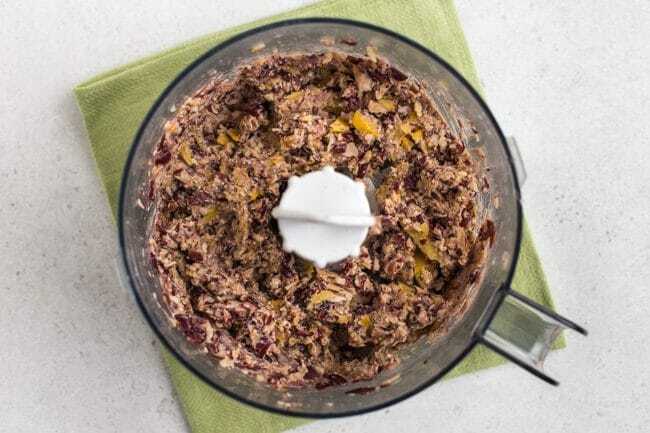 Meanwhile, add the walnuts, kidney beans, chopped pepper, and mushrooms to a food processor, and pulse a few times. You want to end up with a coarse mince - don't allow it to become completely smooth, but you don't want too many large chunks to remain either. You may need to stop and scrape down the sides a couple of times, before pulsing the food processor another few times. Transfer the bean mixture to a saucepan, and add the tin of tomatoes, tomato puree, and spices. Bring to a gentle simmer, and allow to cook for around 10 minutes, stirring regularly, until the mixture has darkened to become a richer colour. Pile the cooked chips up on one baking tray, and spoon the chilli over the top. Finish with plenty of grated cheese, and bake at 190°C (Gas Mark 5 / 375°F) for a further 15-20 minutes, until the cheese is golden brown and crispy. Serve hot, topped with your choice of toppings. If you don't want to make your own chips from scratch, you can use frozen ones for this recipe. Just bake them according to the instructions on the packet, then follow the rest of the recipe as written. 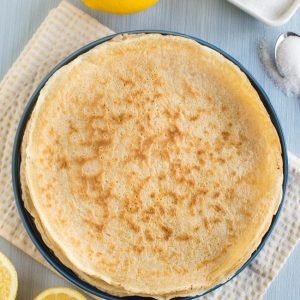 The recipe serves 6, but if you don't need to serve that many people, the recipe can be adjusted. It's hard to make a smaller batch of the chilli, so I would just make fewer chips, and use up the leftover chilli another day (see the blog post for some ideas!). Note: Nutritional information is approximate, and will depend on exactly what ingredients you choose. Information above is for 1/6 of the full recipe, not including toppings. Love Tex-Mex? 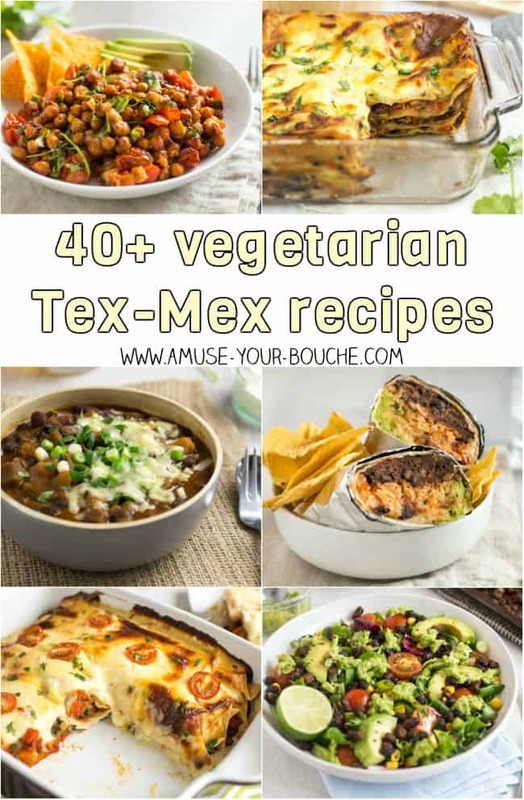 Check out my collection of over 40 vegetarian Tex-Mex recipes! You put a lot of work and heart into these dishes, they look really good. Oh my, these look amazing! Nothing like some chilli fries on a Friday evening sat in front of the TV. I agree, perfect TV food! 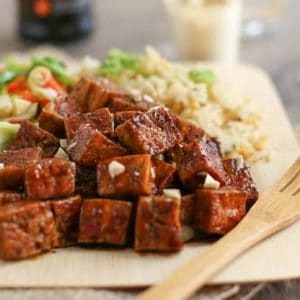 i Can’t wait to make this and its looks is very fantastic.Very nice recipe,Thank’s for sharing. 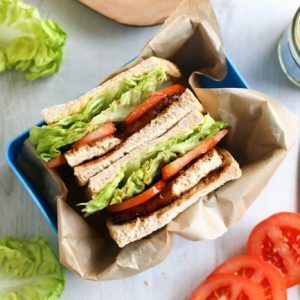 Thanks for sharing such a yummy recipe.